Si Yuâ€™os Maâ€™ase ðŸ‡¬ðŸ‡º Thank you Oregon Leaf, The Northwest Leaf, & Louisa Satori for including us in the nightâ€™s festivities. 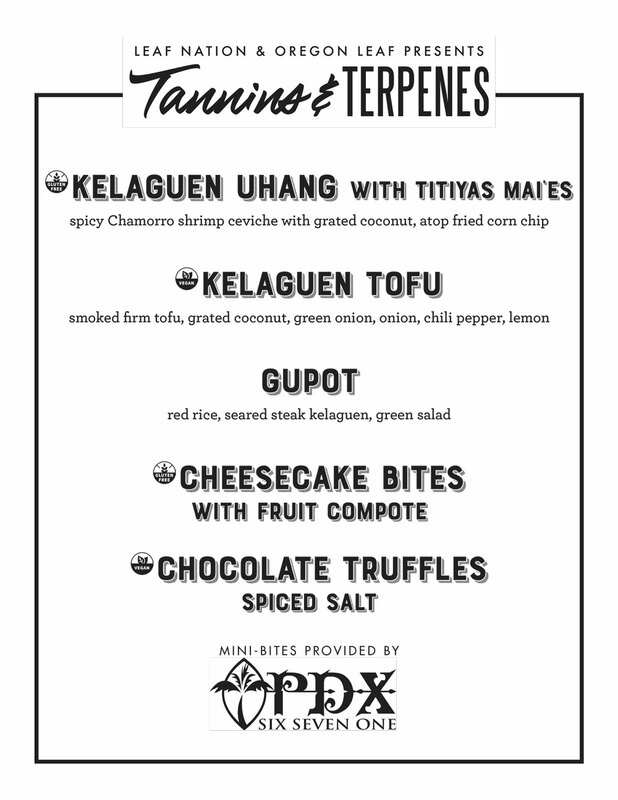 We had a great time serving some Chamorro bites at Tannins and Terpenes! ðŸ‡¬ðŸ‡ºï¸�ðŸ‡¬ðŸ‡ºðŸ‡¬ðŸ‡º ï¸�ï¸�ï¸�Don't miss out on another private or catered celebration. Visit eatfeastly.com or link to http://bit.ly/2py078f and request Ed Sablan. ðŸ‡¬ðŸ‡ºï¸�ðŸ‡¬ðŸ‡ºï¸�ðŸ‡¬ðŸ‡º ï¸�Biba!